Being a teenager is difficult enough between school, sports and personal life. Adding acne to the mix just results in more stress, low self-esteem and in many cases even painful outbreaks. The problem is that acne most commonly affects teens and can last for many years throughout puberty. Suffering in silence or just blindly trusting TV and magazine advertising is the worst thing you can do. 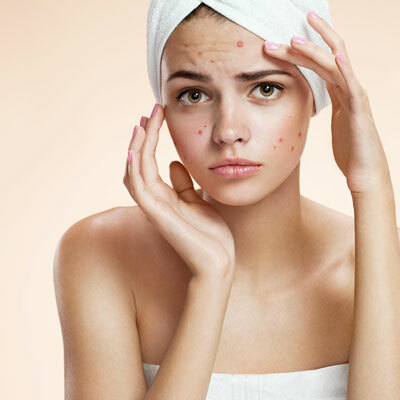 There are very specific triggers for acne and in the majority of cases they can be kept at bay with some simple cleansing and treatment products. The first thing you need is a gentle cleanser to remove impurities and oil from your pores. These are what trigger the acne and the faster you can remove them the less likely your skin is to overreact. It’s slightly more difficult to naturally get rid of bacteria in your pores that are the main cause for the really bad puss filled pimples. One fantastic option is to use a tea tree based product due to its natural anti-bacterial effect. To help you find the best teenage acne treatment we have put together the below guide and product recommendation that are available over the counter. They have proven highly effective and you should definitely try adding them to your daily routine. The main causes behind acne in teenage. What does teenage acne look like? According to experts, which is the best acne treatment for teens? What are the options for treating teenage acne? 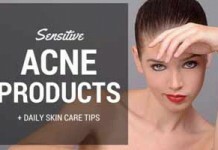 10 best tested and proven acne products for teens you can use today. 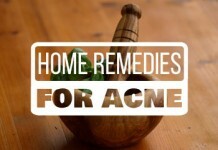 If you’re in a rush, below are the top 3 best Acne Treatments for Teens. Finally available to consumers after 25 years! Good For Oily, normal, and sensitive skin. Best For All skin types, including sensitive skin. What are the Core Reasons of Teenage Acne? What Does Teenage Acne Looks Like? Asking Experts: What Makes the Best Acne Treatment for Teens? What Options do You Have For Teen Acne Treatment? What’s Your Favorite Teenage Acne Treatment? Teenage Acne typically occurs around the age of puberty which can be as early as 9 years of age and goes around till few years or even more. Painful blemishes occur on face, neck, chest, shoulders and back. These are the body regions that have maximum number of sebaceous glands present. Although, acne in teens is common, it can be particularly severe in some teens than others. Usually, the severity of pimples increases during the mid-teen years, that are 14-15 years of age. However, the condition can be improved with treatments and can be controlled before teenagers reach adulthood. 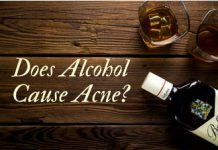 There are few rare cases that continue to suffer from acne throughout the teenage years and the years after despite treatment. 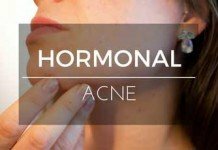 The primary cause of teenage acne is the splurge in hormones due to puberty. In reaction to this hormonal stimulation, the sebaceous glands enlarge and produce more sebum and oil than usual. When an excess amount of sebum along with dead skin cells accumulate on your skin, they block the follicles. And this results in whiteheads and blackheads. This is the initial stage of acne. Some families have the hereditary tendency to overproduce sebum and dead skin cells that clog pores. And apart from this, you may be genetically predisposed to producing excess androgen. 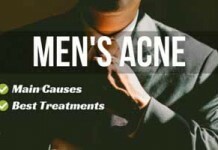 Androgen makes your oil glands produce excessive sebum and this leads to acne. 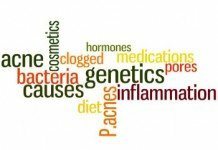 Various researches show that there isn’t a specific acne gene that anyone can inherit. But there are studies that show that acne is genetic. A study shows that having a first-degree relative with acne increases your risk of getting acne by 4 times. So, if your parents have acne, there is a greater chance of you suffering from acne. Typically, teenagers are involved in multiple activities at a time. This includes sports, travelling and extra-curriculars which give them less time to maintain proper hygiene. Climate also affects as teens living in hotter climates sweat more which can lead to acne. Apart from this, friction from wearing a helmet or a bag pack also triggers acne. This is due to the overgrowth of Propionibacterium Acnes. Stress leads to an increase in androgen hormones. Androgens stimulate the oil glands to produce more oil which results in clogged pores. This is the reason why many teens have a new bunch of pimples on the first day of high school or before any special occasion or performance. Whiteheads: These are clogged pores with oil and covered beneath skin layers. They are also known as closed comedones. Blackheads: These are black bumps filled with bacteria and dead skin cells that push through hair follicles. The black color is due to the oxidization of oil and not from dirt. They are also known as open comedones. Papules, Pustules or Nodules: These are deep acne lesions that appear red and swollen due to infection and inflammation of skin tissues. They are hard and often painful. Cysts: These are deep nodes filled with pus. “Skin needs to be cleansed effectively every night and morning,” says Dr. Rabia Malik, skin specialist practicing in Grace Belgravia, London. She also emphasizes to use products free from sulfates, alcohol, and fragrance so that you don’t further irritate your acne prone skin. Dr Mervyn Patterson suggests using products that contain witch hazel or salicylic acid so that you loosen up the buildup of dead skin cells, excess oil and dirt in your pores that cause acne. Dr Toni Phillips, Clinical Director at DestinationSkin, recommends avoiding products that cause dryness on your skin. Because as a result of using such products, your skin naturally produces more oil which leads to further pore clogging and whole host of other nuisances on your skin. “Tanning needs to be completely avoided,” says Dr. Patterson. In your teens, it’s easy to take your healthy skin for granted and believe it is indestructible. However, this often results in more damage to your skin than you can imagine. Protection from the sun is just as important during your teenage as during any other period of your life. This is a question that often comes into our mind. And there’s a simple answer to this, “As long as you let it stay.” But how can anyone ever want to let acne ruin their complexion? You might wonder. Well, there’s no denying to this fact. But the sad reality is that very few of the teenagers are willing to let go of their favorite junk food, bad/unnecessary habits (scratching, picking and popping pimples), and their regular cleanser or soap bar designed for ‘regular’ skin types. Untreated acne during teenage can last up to 4-5 years before settling (sometimes even longer than that). If you don’t want to let it happen, you have to change your direction. When you’re suffering from teenage acne, you need to follow a skin care regiment consisting of products that are specially designed to fight acne from its roots (the sebaceous glands). Products that utilize the proven anti-acne ingredients (as suggested by experts) to make your skin clearer and smoother over time. 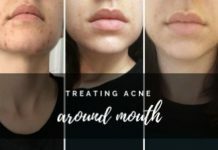 If you’re only having the few pimples here and there, the first options works just fine – and it’s pretty economical too (good acne cleansers usually cost around $5-$15). For moderate-severe acne conditions, acne treatment kits (such as Exposed Skin Care) are most effective. This is due to the fact that the more stubborn your acne is, the more intense and systemized treatment it requires for complete eradication. Taking into account all these factors we’ve discussed so far (and more), we’ve developed a list of carefully selected acne treatment products for teens that are proven to bring in positive results in shortest amount of time. 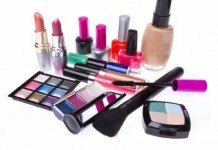 Go through this whole list and you’ll find it extremely easy to identity teenage acne products that tailor to your skin type and acne condition. Finally a product that lives up to its hype! 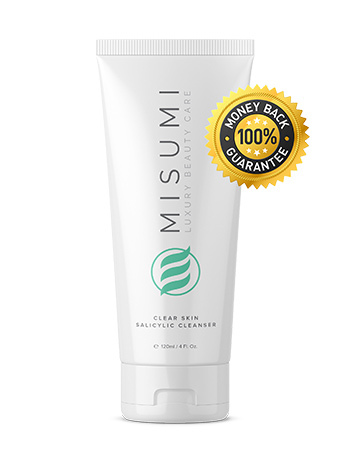 Misumi’s Clear Skin Salicylic Cleanser has proven time and time again to be extremely effective especially for adolescents battling teenage breakouts. It is hands down our favorite cleanser for achieving blemish-free skin and preventing future breakouts. This brand has been a favorite about dermatologists and high-end skincare specialists for over 25 years but has only just been made available directly to consumers. This unique formula is a powerful combination of three essential acne-fighting and anti-aging ingredients: Glycolic acid, Salicylic acid, and Lactic acid. You could say it has all the things we would want in an acne-fighting cleanser or face wash. When it comes to strength, effectiveness and quality, we are yet to find a product that beats this one. No need to complicate life with 7 different acne products. This one cleanser delivers real results fast. Lots of loyal customers who say Misumi has been the only thing that has worked for them. Real reviews with before and after photos to prove it. It is made in the USA in an FDA licensed facility which guarantees quality. Their chief chemist has been making some of the world’s leading acne products for over 25 years. This is their most effective formula to date. They are so confident you will see fast results that if you haven’t noticed a difference within 3 weeks, they will give you your money back. If you have the cash to splash, we recommend trying Misumi’s Complete Clear 3-Step System. This Acne System includes their signature AHA 10% Skin Perfecting Cleanser, their All Day Moisturizer with SPF 30, and their best-selling Pore Purifying Toner that everyone has been raving about. Unlike many acne products nowadays that contain harsh chemicals that irritate the skin, all of Misumi’s products are based on natural and healthy ingredients. Their AHA cleanser is a unique and powerful blend of Glycolic Acid, Chamomile, Japanese Plum, Seaweed Extract, Rosehip Oil, and more. The AHA Cleanser is their signature product which will clear blemishes and reduce redness and inflammations without drying your skin. Their Pore Purifying Toner combines Witch Hazel Extract, Lavender, Sage, and many other acne-fighting herbs that will help calm breakouts, clear the skin, and close pores to prevent future breakouts. If this is above your budget, check out their 2-Step Clear Skin Duo Kit which will save you $30 and is an excellent starter kit that will deliver real results. You’ve all heard of Proactiv, haven’t you? 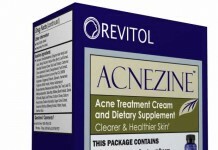 For quite a long it’s been considered as the #1 at-home over the counter acne treatment system. Enter Exposed Skincare. If you are looking for a full treatment kit rather than just one product, look no further. You will get 5-9 products in their kit versus only 3 with Proactiv. Best For: Oily, normal, and sensitive skin. Due to its full coverage product line, it is capable of treating even severe forms of teenage acne. Does not use any active ingredient (either benzoyl peroxide or salicylic acid) in strong concentrations, and each product contains their natural counter parts, which makes it suitable for even sensitive skins. Each component of the Product is made in the certified facilities in North America, which gives it a clear edge on the quality side. Backed with a solid 30-day guarantee. Makes your acne worse in the first couple of weeks of use. But it gradually clears ups over time. 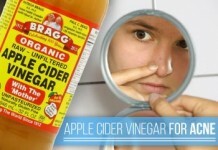 Doesn’t clear your skin forever and requires continuous usage to maintain clear skin. Teenagers should always prefer natural formulations over highly medicated ones. Because during this age, your skin still hasn’t matured enough to manage all the harsh chemicals. 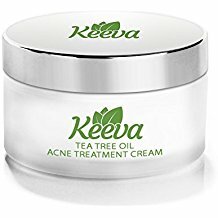 That’s why, this natural acne treatment cream from Keeva Organics is going to be a great option for you. Active Ingredient: Tea tree oil. Employs tea tree oil as a natural anti-bacterial agent to fight acne causing bacteria and prevent acne breakouts in future. 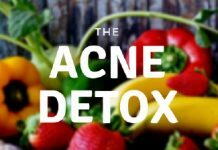 Works for all types of acne, including hormonal, bacterial, and cystic acne. Does not leave your skin excessively dried, neither it peels off your skin’s natural oils. Leaves for skin soft, clear, and fresh. Single jar doesn’t last for long, so it’s not a cheap option. Results are not seen overnight, it will require regular use to get full benefits. Not suitable if you’re allergic to tea tree oil. Proactiv came up with X Out to specifically target acne problems teenagers face. It is a dermatologist prepared acne treatment that claims to wash away all the acne from your face quickly and effectively. X-Out is popular for the ‘icy slap’ menthol effect it leaves after you wash it off your skin, which according to the manufacturers, is testament to the fact that it works even after rinsing off. Active Ingredient: Benzoyl Peroxide (8.5% prescription grade). Other ingredients include Polyethylene beads, Linoleic Acid, Glycerin and Menthol. 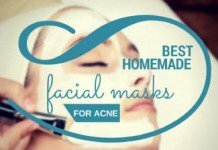 One step procedure to rid the face of acne. Can be used as a face mask, as a spot treatment cream or as a normal wash in product. Specially designed for teenage skins. Contains benzoyl peroxide that fights acne and has other oils and ingredients that make it soothing and gentle on the skin. Other benefits also accompany ingredients like Linoleic Acid and Glycerin that replenish oils and nourish the skin with moisturizes. Leaves the skin dry, not the best option for sensitive skins. Note: There are a lot of complaints about X-Out’s pricing policy that I have to mention this. Buying X-Out can leave you paying a lot more than you intended. So, please pick up the phone and cancel your subscription before the next month of usage if the product doesn’t suit you. This is the one that that is miles apart from the rest in terms of pricing. But that’s not all that has made it to our list. It sinks into the skin nicely, and leaves your skin smooth and hydrated without leaving grease son your skin. And given the fact that it’s carefully crafted for oily, acne prone skin – this is a great choice for teenagers looking to add a decent product to their anti-acne regimen. Makes a good base for makeup. Just a couple of weeks’ usage can pour in positive results. Takes care of skin inflammation caused by acne, helps minimizing pain caused by acne lesions. Can also work for rosacea prone skin. Doesn’t cause excessive oiliness on the skin. Not the best option for sensitive skin. Can produce burning sensations. Has a strong chemical scent, the problem most of Neutrogena line has. If you’re after a natural solution to your teenage acne problem, this Pore Refining Scrub from Burt’s Bee’s is your go-to choice. The main benefit of this product is that it contains 99% natural ingredients. It uses naturally derived salicylic acid (directly from Willow Bark Extract) for effective pore penetration. Addition of Jojoba Beads and a natural Fruit Acid Complex makes exfoliation of dead skin cells easier and refines the appearance of skin pores without causing over-drying. Best For: All except oily and sensitive skin. Some of the rare products that use micro beads from natural sources (unlike a lot of products that use plastic micro beads). Has a pleasant earthy smell. The convenient bottle makes it easy to dispense and makes efficient use of the product. Leaves your with skin a soft and smooth sensation. The presence of fruit acid complex makes it a bit more tingling to be tolerated by a sensitive skin. Not oil free. If you already have an oily skin, might leave your skin with even more oil. Dermalogica has a strong medical background which makes it a go-to resource for the most concerned skin care enthusiasts around the world. 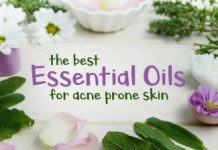 Ever since its inception, it has maintained a reputation of producing skin health focused and irritation free products. These are some of the few facts that make it a great choice for teenagers suffering from acne. This Breakout Clearing Kit is composed of 5 mini sized bottles of different products including a moisturizer, cleanser, daytime and nighttime treatment, and a toner. Standalone acne treatment system, fights acne from all angles and provides your skin with complete treatment plan. Perfect choice if you’re looking to get into a skin care routine that can transform your skin over time. Specially designed for the skins of teenagers and young adults. Can be an overkill if you only have a few bumps here and there. This multi-dimensional acne treatment kit is best suited for face full of acne. Can be over-drying and itchy for sensitive skins. Doesn’t work in a flash. It require continuous usage to see visible results. This is one of the most popular products from Cristina Carlino’s Philosophy brand. 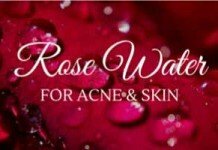 The company has a reputation of only using proven scientific ingredients that can take good care of your skin regardless of its type. If you’re salicylic acid fan, you should consider this product. 1% salicylic acid treatment is just perfect to fight pimples without leaving your skin excessively dried. Good fit if you’re fighting occasional acne breakouts. Best for daily usage. The added moisturizer soothes your skin and helps minimizing fine lines. Formulation is conveniently lightweight, unlike its closest rival from Paula’s Choice, which is thick and heavy on the skin. 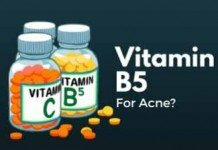 There are cheaper options available if you’re looking for a salicylic acid (BHA) based acne treatment. Has a big dispensing hole that makes it difficult to minimize waste of product. The added moisturizer is not enough to cater skin dryness caused by the winter. Dab it on a cotton bud, apply it directly on your acne spots, and leave overnight. This Super Spot Remover from Origins will dry up your existing pimples and speed up your skin rejuvenation process – thanks to the presence of salicylic acid and witch hazel. Moreover, it contains caffeine and red algae that are both excellent for providing immediate relief from redness and inflammation. Best For: Oily, combination skins. Can provide overnight relieve from acne spots. One bottle lasts long as you only need it in small amounts against your acne breakouts. Using this spot treatment consistently can give pimples a hard time coming back. Can also help with acne scarring, not the severe type for which chemical peel or seeing your Derm would be better options. Bleaches everything it touches; your pillow, clothes, or bedding. Clinique’s 3-step routine is one of classic skin care formulations available on the market today. It was released back in 1968, and is considered Clinique’s founding concepts. This anti-acne kit has been popular ever since because it was one of the first to introduce allergy-tested and fragrance free range that was developed by dermatologists themselves. Best For: All skin types. Has different versions for dry, sensitive, normal, and oily skin. The cleanser leaves skin clean, fresh and free of acne causing bacteria. Exfoliator removes dead skin cells and further debris from the skin. Moisturizer adds much needed nourishment and leaves your skin with a soothing sensation. Tailored to specific skin types. Not a cheap option for a teenager to go with. But if you’re a parent looking for a treatment for your kid, this might just make the perfect present for them. Tea tree is a great natural alternative to replace anti-bacterial properties of benzoyl peroxide in an acne treatment. Salicylic acid has excellent pore opening, exfoliating properties that work extremely well against stubborn acne. This Tea Tree Cool and Creamy Wash from The Body Shop ticks both these boxes. Penetrates deep into your skin and removes any dead skin or sebum residues that might be clogging your skin pores. Has a delicate creamy texture that does a good job at removing makeup. Unlike most foaming cleansers, this will not strip moisture away from your skin. Can be irritating, specially if you’re not accustomed to tea tree extracts on your skin. The tea tree smell is dominant in the wash, which you might not find pleasing. Claridad is a glycolic acid formula that offers many benefits for controlling teenage acne. It comes in a portable bottle with a flip-open can that can be easily carried around. The best part is that it provides great improvement in terms of controlling acne within two weeks of regular use. Best For: All types of skin. Glycolic acid offers deep exfoliation by clearing dirt and impurities from your pores reducing chances of further breakouts. Contains skin healing yucca extracts that work as anti-oxidants and balance uneven skin tones by fading acne scars. Does not deprive your skin of the good oil and works fair for dry and wrinkly skin. Gives fast results within two weeks of daily use. Is formulated without parabens and alcohol. A bottle lasts for 2 months. Can irritate sensitive skin due to the peeling effect of glycolic acid. Can cause excessive drying on extremely dry skin. Contains fragrance that might be abrasive for sensitive skin. It is an expensive cleanser. Murad’s 30-Day Acne Control Kit claims to clear acne in 30 days. Murad offers a complete set of products that provide skincare treatment. This kit consists of four products that are designed to eliminate acne; a cleanser, a clearing solution, an oil-control mattifier and a spot treatment. It is clinically proven to make reduction in acne in 92% of its users after 3 days of use. Comes as a 4-product kit that provides you complete skincare and anti-blemish treatment for both morning and evening. Clarifying cleanser accelerates the cell turnover process giving you a clear skin and making no room for acne-causing bacteria. The acne clearing solution specifically targets existing pimples, soothes them without over-drying your skin. The Oil Control Mattifier prevents oiliness for up to 8 hours reducing chances of your pores getting blocked. It also provides sun protection and has an SPF of 15. Acne Spot Treatment prevents any future break outs and provide relief to blemishes alongside controlling sudden acne breakouts. If you stop the treatment mid-way, the breakouts will continue to occur. It might irritate the sensitive skin if used more than required. Would cause excessive drying if you have dry skin. The products need to be applied step by step. The clarifying cleanser need to massaged on damp skin. Rinse thoroughly and pat dry. Should be used both in morning and evening. Acne clearing solution needs to be massaged on clean skin. Can be used twice a day requires no rinsing off. The oil control mattifier needs to be applied liberally on the face and neck. Should be used once a day. Ideal for use when stepping outside home. The acne spot treatment gel should only be applied to the acne affected area. Apply one to three times daily or as required. TreeActiv is known for its effective skincare products in the skincare market. This sulfur-based face cleanser is a bestseller among teens as it provides great results in eliminating adolescent acne. 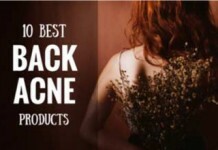 It is specifically designed for hormonal acne. The price of this face wash is high but you can get a good online discount. Sulphur acts as a natural anti-septic and provides anti-bacterial properties which prevents acne-causing bacteria invasion. Activated charcoal draws out impurities from your pores making your skin smooth and reducing chances of future breakouts. Vitamin C and peppermint oil act as anti-oxidants that fight free radicals which might otherwise cause skin damage. Reduces oiliness on the skin and soothes any inflammation present. Boosts skin collagen which gives you a more youthful skin. Creates rich lather and does not leave any residue. The quantity of the cleanser is very little and it hardly lasts a month. Expensive for the quantity it offers. 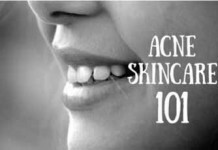 This brings an end to our run down of the best acne treatment products for teens available on the market. I will keep updating this most with more and more better options, so that you can make the best decision based on your specific teen acne condition. 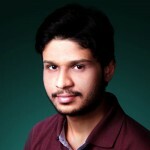 Want to suggest an inclusion to this post? I’d be glad to hear your thoughts in the comments below!